With tough nylon stringing and welded metal tension rings. This is a great dual tone drum. Colour and patterns may vary. Head Diameters: 16 & 20 cm. 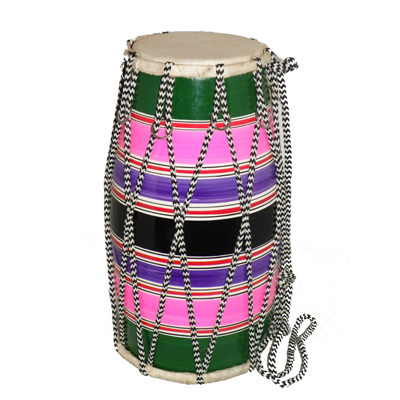 Large glossy finished Indian Dholak with tough nylon stringing and welded metal tension rings. This is a great dual tone drum. Colour and patterns may vary.